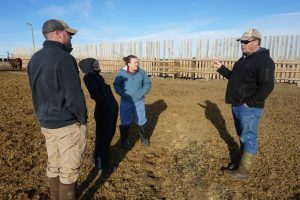 Each fall, Feedlot Health hosts three, one-week long student feedlot externships consisting of a complementary blend of both field and classroom activities. 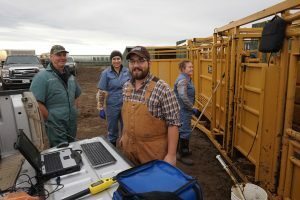 During the externship, fourth year veterinary students participate in a program developed by the professional consulting team of veterinarians and PhD animal scientists at Feedlot Health. The object of this program is to provide a focused, cutting edge, high-level student externship opportunity in a private veterinary business, which is an important real world component for augmenting University-based veterinary curricula. Students also have the opportunity to participate in targeted discussion sessions with Feedlot Health veterinarians, production consultants, and personnel, as well as feedlot personnel throughout the week. The externship runs during the last week in October, and the first two weeks in November. Over the three weeks, seven partner Universities select up to four students each to join the program. Feedlot Health also selects up to four wildcard students per week from any University to travel to the Okotoks, Alberta office and participate in the rotation. Students interested in applying as a wildcard should contact Mrs. Courtney Stamm by emailing careers@feedlothealth.com to acquire an application for consideration. Interested veterinary students must then submit the completed application form, along with a resume and letter of interest. Wildcard selections will be made on or before May 1st of the corresponding year.